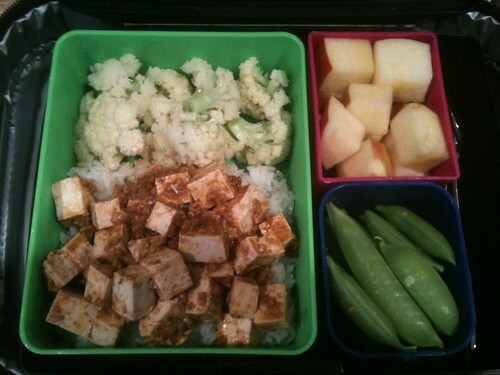 Above: Cauliflower (steamed), mabo tofu on rice, sugar snap peas, most of half of a Fuji apple. 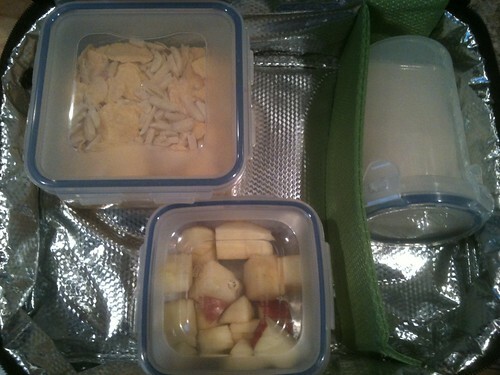 Laptop Lunches are rather easy to pack, all things told. Below: Amazon Flakes with slivered almonds, the other half of the Fuji apple, and almond milk in a Lock & Lock container that has yet to leak, no matter how much it be tossed.